Raw last night was down from the past two weeks but the 3.33 million viewers has to be considered strong for a regular show with NBA playoff competition. The show only dropped three percent from the Superstar Shakeup episode, even going against two strong NBA games on TNT, the Indiana Pacers vs. Cleveland Cavaliers game that did 3.58 million viewers against the first half of Raw, and the Memphis Grizzlies vs. San Antonio Spurs game that did 3.17 million viewers against the second half of Raw. 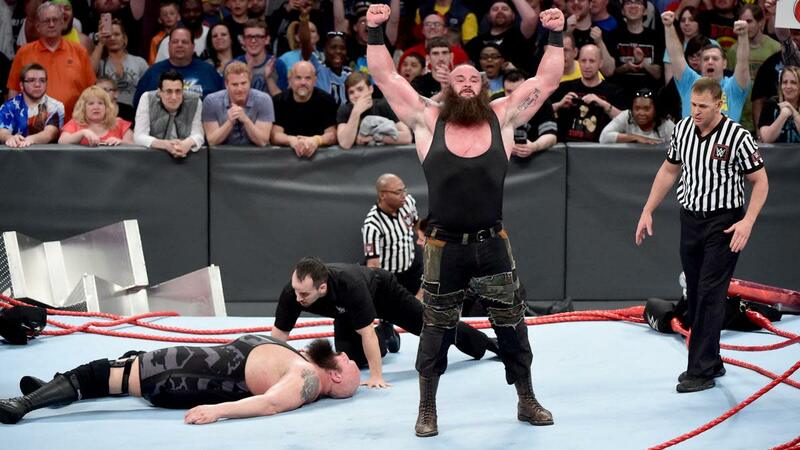 The Big Show vs. Braun Strowman match, which did a great job of holding viewers the first time it aired on Raw, saw more normal patterns this time with a nine percent drop in viewers from hour two to hour three. Still, in this day and age, any Raw number over 3.2 million viewers for a regular show has to be considered successful. Raw beat The O'Reilly Factor (3.15 million viewers) for the first time in several weeks, landing in the number two spot behind the Pacers-Cavs game.